The Honey babes are back with 'Honey I shrunk the Kit' virtual reality crafting session. You can see a photo and product list of all these goodies at the bottom of the post. I just loved all these goodies and got to crafting as soon as it arrived. 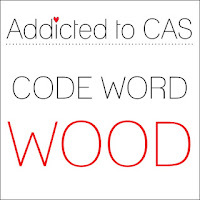 Addicted to CAS-wood-my little wooden peg from Mum fits this perfectly! Products in this pack-a range of images including Mama Elephant, Winnie & Walter, Paper Smooches and Neat and Tangled. The die cuts are from Simon Says Stamp, Avery Elle and Tonic. All the Honey Babes had the same products to play with. I haven't seen what they have made but am very excited to visit each of their blogs-why not do the same-the list is at the top of this post. Such a fun idea! Love all the cards you made! The heart theme is one of my favourites so I love all the goodies in your kit - awesome job! 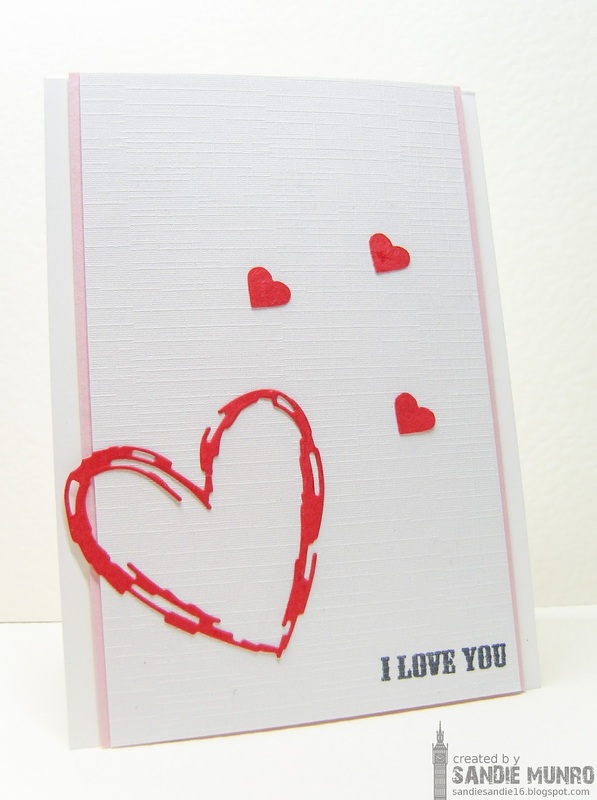 Oh, what a selection of beautiful love-themed cards, Sandie!!!!! All the hearts are so beautiful and the wooden peg, the fun shaker and the lovely pink doily are all being used in a great way to make wonderful cards!!!! All with a beautiful CAS look!!!!! A lovely kit!!! All very sweet, and I'm joining the gang on loving that sweet little peg! what a darling kit! 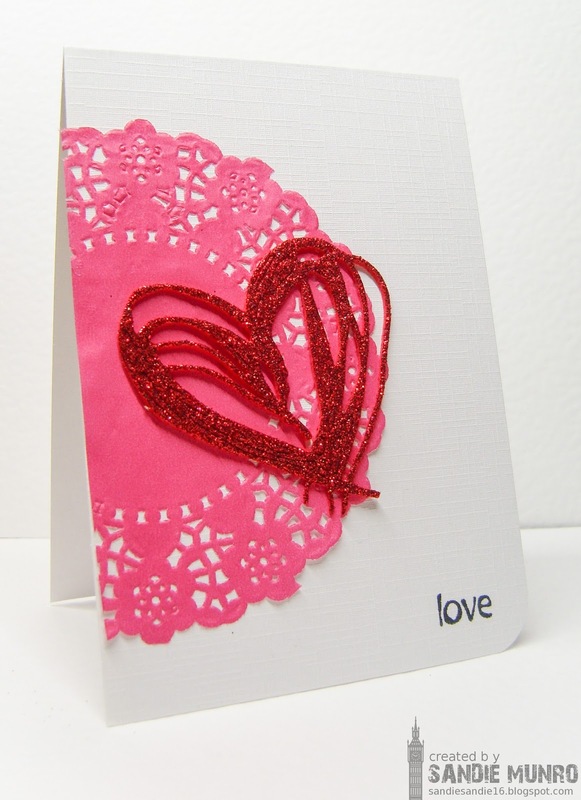 Wonderful collection of cards Sandie....so sweet! Love your CAS cards. Terrific take on the challenge. Thanks for sharing at ATCAS! 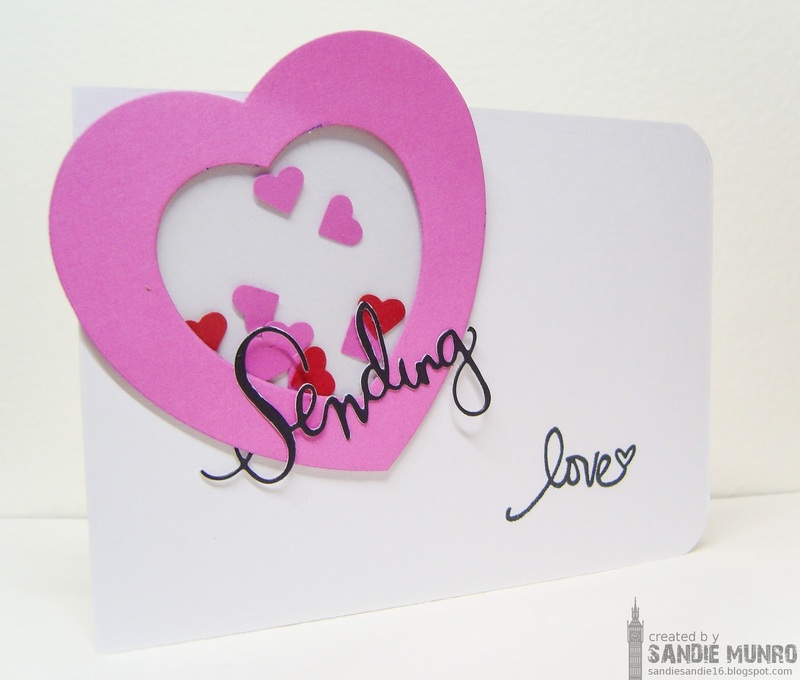 Such beautiful cards, Sandie! 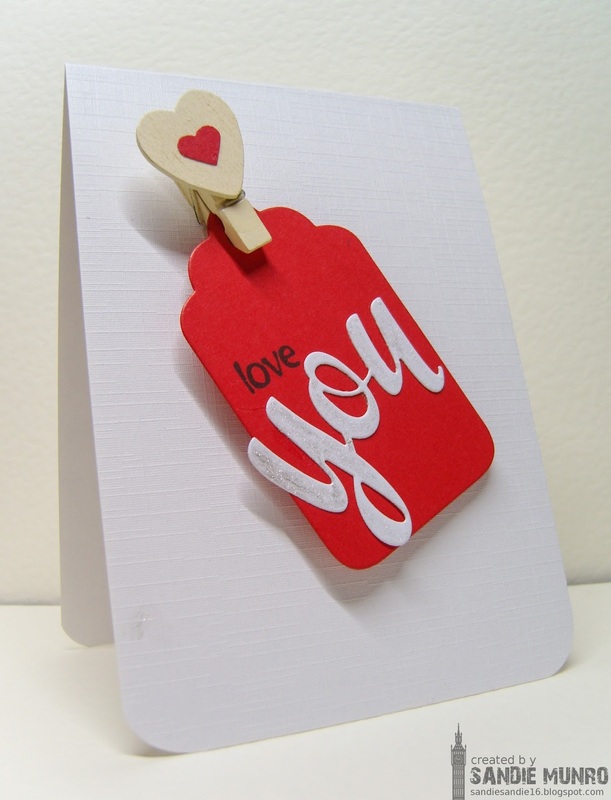 Your wooden peg is such a clever take on the Code Word, too! You did an amazing job on your kit ~ Thanks so much for playing along with us at Addicted to CAS!